Get to know the wife of Florida Georgia Line's Brian Kelley, Brittney! More here! 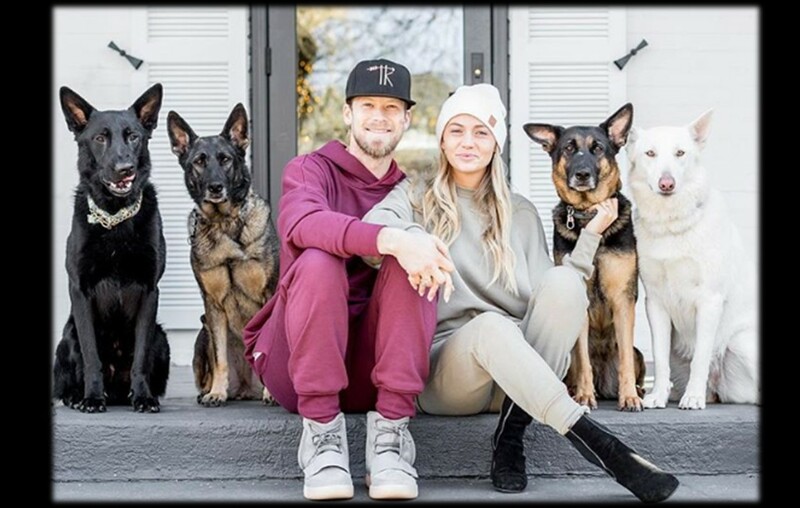 Florida Georgia Line star Brian Kelley and wife Brittney Cole Kelley’s relationship was quite a whirlwind that included a secret marriage in Nashville back in 2013! Since then, however, Brittney’s life has been in the spotlight alongside her husband. The attention, however, hasn’t changed her genuine nature or hippie spirit! Brittney is her husband’s number one fan! When your husband is one of the stars of Florida Georgia Line, you’re bound to attend his concerts and frequent award shows for his work. Brittney does all of this with grace and a smile on her face! In an Instagram post from the beginning of November, Brittney says, “I [love] doing life with you.” The post featured some affectionate pictures of the couple! Needless to say, Brittney doesn’t mind supporting her husband in any way she can! Four dogs might seem like a daunting task, but Brittney is enjoying life with her tribe! Yes, that’s right! A REAL life teepee! It’s even more fitting that they took their four year wedding anniversary picture next to it because it was a gift on their big day from the Hubbard’s! “Brian and I also have a real 23-foot teepee at our home in Nashville, Tennessee that was a wedding gift from Brian’s duo partner, Tyler, and his wife and my good friend, Hayley. The teepee is a place Brian and I shared many special and creative moments, and what better image to symbolize our family, our pack, our Tribe, than a teepee,” Brittney says of their unique feature. On October 7, 2018, Brittney took to Instagram and got vulnerable with friends, family, and fans alike. She shared that while Instagram shows the highs of her journey, she has experienced lows. Yes, this Florida Georgia Line wife is on the go and very spirited! She’s got a busy life but is enjoying every second of it! Share this article with other fans of Brittney and keep up with Country Fancast for more updates!